As you evaluate your retirement options, you should choose an organization that demonstrates a strong financial track record from many different authorities, provides you with the ability to plan ahead for future health care needs and reduces your tax liability. 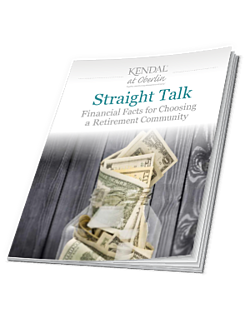 That’s where our Straight Talk: Financial Facts for Choosing a Retirement Community comes in! What are the financial benefits of a life plan community? How do you determine the financial security of a retirement community? What tax benefits are available?